Rotary Disconnect Switches feature ergonomic pistol handle. 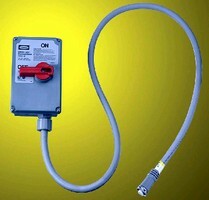 Low Voltage Disconnect Switch eliminates dead batteries. Ballast Disconnect meets CEC/NEC safety requirements. 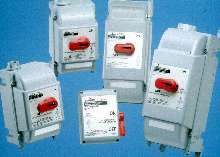 Disconnect Switches come in fusible/non-fusible versions. Quick Disconnect Switches speed motor installation time. Switches combine motor controller and disconnect. 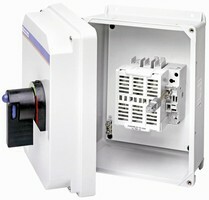 Molded Case Switches are back-of-hand safe. Molded Case Switches are European IEC style disconnect switches that meet IEC/EN 60947-3, IEC/EN 60 204, and UL 489 standards for domestic and worldwide applications. Offered in 30, 60, and 100 A sizes, switches can be cover or base mounted and include door interlocking handle for added safety. 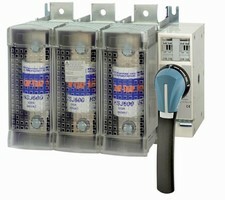 They are suitable for control panels, as lockout/tagout disconnects, and as emergency off switches. Safety Switches come in fused and non-fused versions.